Dr. Bufe grew up in the Atlanta area and was a patient of C.M.G. throughout her childhood. In fact, she became a pediatrician in large part because of C.M.G. 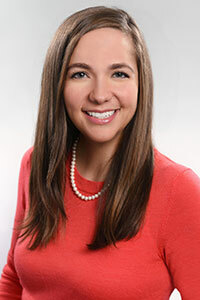 After completing her undergraduate studies in Athens, and medical school in Augusta, Dr. Bufe returned to Atlanta in 2008 for her pediatric residency at Emory University. She practiced at Dekalb Pediatric Center from 2011 to 2017. Dr. Bufe and her husband Cason live in the Decatur area and are kept busy by their 2 young sons. She enjoys reading, traveling, exercising, and checking out Atlanta's new restaurants. Dr. Bufe is passionate about providing the highest quality care to children and their families, from birth through adolescence.